DULLES, Va.Feb. 10, 2016-- Orbital ATK, Inc. (NYSE: OA), a global leader in aerospace and defense technologies, today marks its first full year of combined operations following the completion of the merger between Orbital Sciences Corporation and Alliant Techsystems, Inc. in February 2015. The merger brought into existence a new $4.5 billion space, defense and aviation systems manufacturer that employs approximately 12,000 people in 18 states across the U.S.
Our customers, shareholders and employees are already seeing tremendous value in the new Orbital ATK, said President and Chief Executive Officer David W. Thompson. The merger combined the leading space and launch systems integration know-how of Orbital with the world-class product development and manufacturing capabilities of ATK s aerospace and defense businesses. The historic strengths of these two companies have allowed us to create new products, increase operating efficiencies, provide strong returns for our shareholders, and develop a deep bench of talent that we are only beginning to tap into. We especially appreciate all the support our customers have shown us in our first year as Orbital ATK, leading to record new orders for the company over the last 12 months, Thompson added. 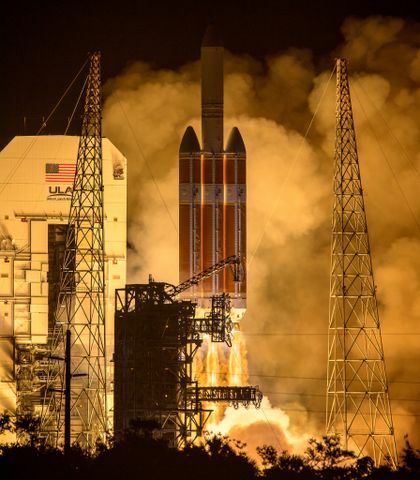 Flight Systems Group (FSG) FSG carried out 14 major rocket launches for the Missile Defense Agency, the U.S. Air Force and the U.S. Navy and supported seven additional ground and flight tests of major rocket propulsion systems for NASA and the Department of Defense. The group also made good progress in re-engining the Antares rocket for its return to flight in 2016. 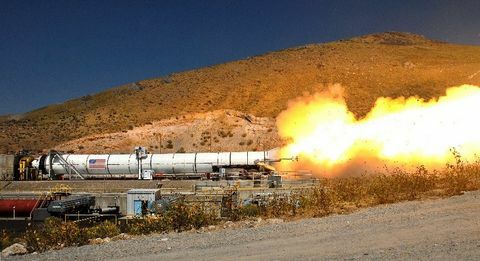 In addition, FSG produced and delivered about 70 space and strategic rocket motors and built over 40,000 aerospace composite structures for key military and commercial aircraft programs. Defense Systems Group (DSG) DSG produced 175 advanced tactical missiles, built over 3,000 medium-caliber guns and precision guidance kits, and manufactured approximately 1.4 million tactical rocket motors, warheads and fuzes. The group also produced over 1.1 billion rounds of small- and medium-caliber ammunition and expanded its international sales, which reached 25% of the group s revenue in 2015 as it opened regional offices in Saudi Arabia and United Arab Emirates to increase its presence in the region. Space Systems Group (SSG) SSG completed and delivered five satellites and saw its backlog expand to over 20 additional spacecraft in development or production. Late last year, the group reinstated cargo delivery missions to the International Space Station with the successful launch, rendezvous and berthing operations of its Cygnus spacecraft. 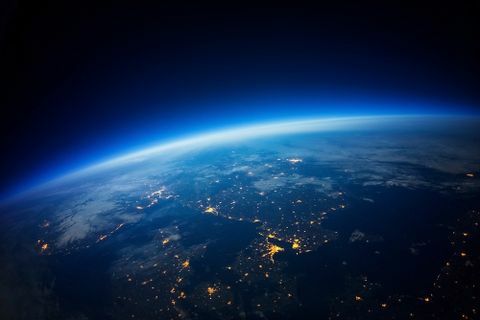 In addition, SSG also carried out 27 research rocket and scientific balloon flights for NASA and produced over 800 space components and subsystems for a wide variety of commercial and government satellites. By the end of 2015, we had completed over 95% of some 1,350 pre- and post-merger integration milestones and achieved revenue and cost synergies that exceeded our first year plans, said Blake E. Larson, Orbital ATK s Chief Operating Officer. As we begin 2016, our focus is on continued operational excellence and providing great service to our customers who count on us for their important programs. We have a tremendous workforce, and I am proud of what we have done together in our first year of combined operations. Our team now stands ready to meet the challenges of 2016 and for many years to come, Larson added. Click HERE for a video overview of the company s first year. Certain statements in this press release may be forward-looking statements as defined by the Private Securities Litigation Reform Act of 1995. Forward-looking statements often include the words forecast, expect, believe, will, intend, plan, and words of similar substance. Such forward-looking statements are subject to risks and uncertainties that could cause actual results or performance to differ, including the following: potential difficulties in achieving expected merger synergies and efficiencies within the expected time-frames or at all; the integration of business operations being more difficult, time-consuming or costly than expected; operating costs, customer loss and business disruption that might result from the merger; potential difficulties in retaining key employees; the company s ability to maintain and grow its relationship with its customers; reductions or changes in U.S. Government military or NASA spending, including impacts of sequestration under the Budget Control Act of 2011; changes in cost and revenue estimates and/or timing of programs and payments; the potential termination of U.S. Government contracts; the impact of the Antares launch failure; failure to win or retain key contracts; costs of servicing debt, including cash requirements and interest rate fluctuations; the company s capital deployment strategy, including share repurchases and dividend payments; actual pension asset returns and assumptions regarding future returns, discount rates and service costs; supply, availability, and costs of raw materials and components, including commodity price fluctuations; performance of subcontractors and other third parties; development of key technologies; and the costs and ultimate outcome of contingencies, including litigation, government investigations and other legal proceedings. Additional information concerning these and other factors can be found in Orbital ATK s filings with the Securities and Exchange Commission. Orbital ATK undertakes no obligation to update any forward-looking statements.